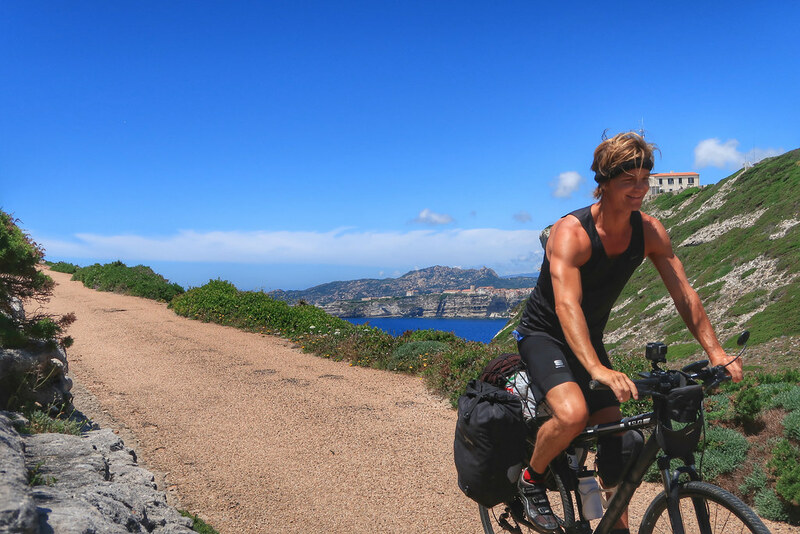 In June 2018 I went to Corsica in the Mediterranean, rented a bicycle and cycled around the island. It was a stunning fortnight on one of my favourite islands in the world. Standard camp food: Baguette, tomatoes, corn, yoghurt, oatmeal, canned ravioli, dates, cheese, ham, bananas.